Plinko is a cruel game that has derailed the hope of many a contestant on The Price Is Right. 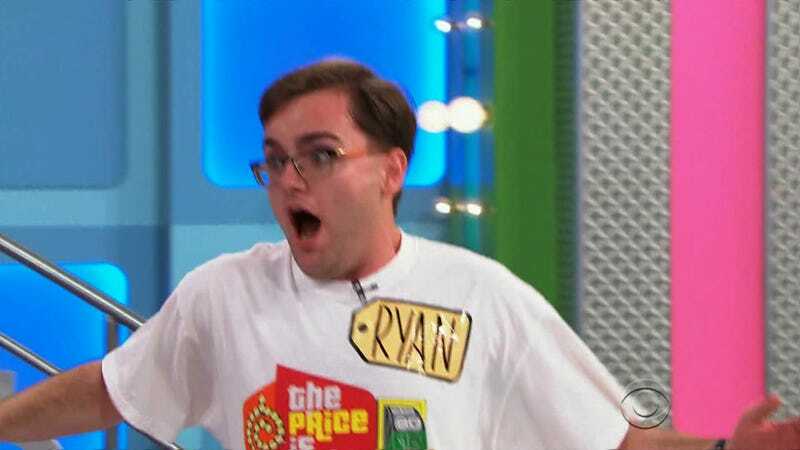 However, contestant Ryan stepped up to the plate on Thursday’s show and conquered the Plinko board, hitting $10,000 three times and winning a record-breaking $31,500. As soon as he nailed his first $10,000, he began to lose it, and he only got progressively more manic with each successive hit. The most anyone has ever won playing Plinko was $41,000, but that contestant played with $20,000 slots. Ryan easily felled the old record of $23,000, but nobody has ever pitched (dropped?) a perfect Plinko game, so Ryan needs to go back on try his luck again.